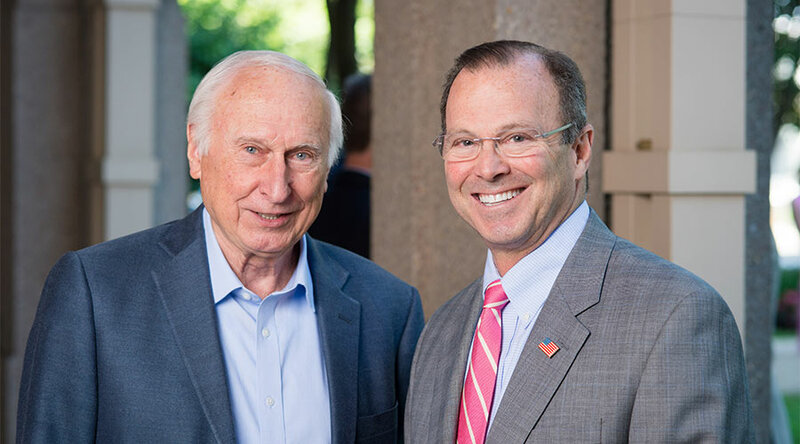 Ray Stata, founder of Analog Devices and co-founder and first president of the Massachusetts High Technology Council, served continuously as a member of the Council’s board of directors for 40 years until his retirement in 2017. He served in various Council leadership positions and earned a global reputation as a dedicated and successful industry leader and ardent advocate for cultivating talent and investments in research and innovation. His many academic and philanthropic engagements reflects these qualities. In recognition of the 40th Anniversary of the Massachusetts High Technology Council in 2017, Council directors initiated the “Ray Stata Leadership and Innovation Award,” to be awarded from time to time to a technology industry leader currently active in Massachusetts who exhibits: 1) the key leadership qualities possessed and demonstrated by Ray Stata; and 2) the commitment to the core beliefs and fundamental values of the Council. The ideal candidate will model as close as possible Ray’s example. Ray Stata represents a leader of superlative talents and grace. He co-founded Analog Devices in 1965. Notably, it remains an independent company traded on the NASDAQ exchange. In addition to his legacy as an entrepreneur, Ray is one of the most active angel investors in the high technology space. Understanding the need for exceptional engineering talent and brain power to support the high tech industry in Massachusetts, Ray co-founded the Massachusetts High Technology Council, Inc. in 1977. The Council is dedicated to ensuring that Massachusetts is a magnet for top talent and a hub for cutting edge businesses and advocates for competitive public policies and practices to sustain Massachusetts as the best place to live and work and in which to create, operate and grow high technology businesses. Ray Stata is a co-founder of Analog Devices, Inc. (ADI) and served as President from 1971 to 1991 and as Chief Executive Officer of the Company from 1973 to 1996. He has been Chairman of the Board since 1973 and continues to serve in this capacity. With sales of more than $6B, ADI is recognized for leadership in the design and manufacture of analog and digital signal processing semiconductor solutions. Ray is active as an investor in and board member of more than 40 early stage technology based new ventures. As co-founder and the first president of the Massachusetts High Technology Council, Ray advocated that engineering education and university research funding were a shared responsibility of government and industry. Ray earned BSEE and MSEE degrees from Massachusetts Institute of Technology and is a member of the American Academy of Arts and Sciences and the National Academy of Engineering.